Playvation brings together two things that Finland is globally recognised for: education and the Moomins. 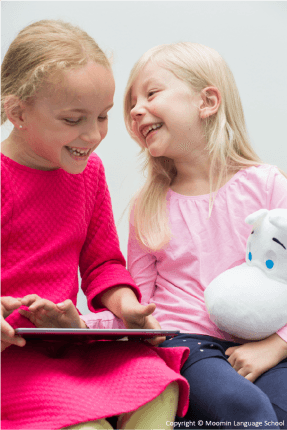 This Espoo-based provider of digital language learning solutions allows your children to learn a foreign language with the help of the Moomins. The method has been designed specifically for three- to seven-year-old children – the optimal age for foreign language learning. Research on the value of foreign language skills is practically unavoidable these days. Foreign language skills have been shown to promote creativity, improve memory and broaden career horizons, but they are crucial first and foremost for ensuring that children become a part of the rapidly globalising world, reminds Anu Guttorm, the CEO at Playvation and Moomin Language School. Children in many parts of the world, however, are at a considerable disadvantage because they have no access to daycare centres offering foreign language instruction, let alone foreign language immersion programmes. Even in Finland, such daycares are notoriously difficult to gain admission to because of their immense popularity. Guttorm believes digitalisation can be harnessed to level the playing field. 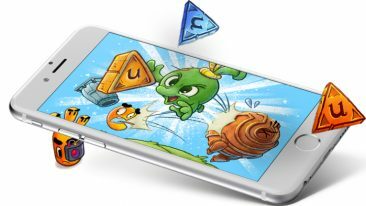 Playvation, she tells, is a spin-off from Promentor Solutions, one of the pioneers of digital language learning in Finland. Playvation was founded three years ago almost to the day on the belief that digital technologies will revolutionise language learning and the realisation that most of the available digital solutions are not rooted in pedagogy. “We looked at all the products on the market. They were all shoddy, with no pedagogical content. There were professional products for adults. And then there were consumer products for children aged three and over, but they consisted mainly of narrow vocabulary exercises,” says Guttorm. The method has been designed specifically for three- to seven-year-old children – the optimal age for foreign language learning – and consists of an application, a three- to four-year curriculum and a narrative that develops as the children make progress. The immersive learning takes place in short, 5–15-minute sessions to promote efficiency and accommodate for the short attention span of children. “You learn the language just as you did your mother tongue: through play,” summarises Guttorm. The solution has already been adopted by two of the leading daycare centre chains in Finland, Norlandia and Touhula. It is also in use in a growing number of municipalities and is set for its launch abroad in the near future – initially in Japan and Turkey, and later in China. You learn the language just as you did your mother tongue: through play. “We’ve signed our first distribution agreements in Japan and Turkey, and we’re currently preparing for China,” tells Guttorm. She points out that while the learning application allows children to build up their vocabulary, develop their grammar and hone their pronunciation independently, the fact that it is used in a daycare setting ensures children have an opportunity to use the language with their peers as part of teacher-organised activities, such as play, sing and handicrafts sessions. “This combines independent daily learning with social group learning. 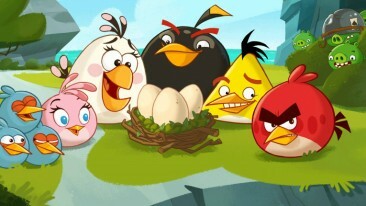 The teachers don’t necessarily need to have language skills themselves,” she views. 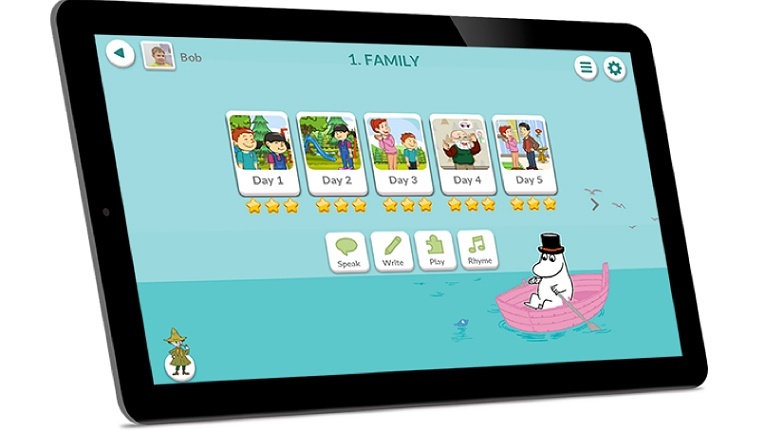 Playvation has recruited some of the most recognisable characters in the world to support its expansion into new markets and, thus, the language learning of children – the Moomins. 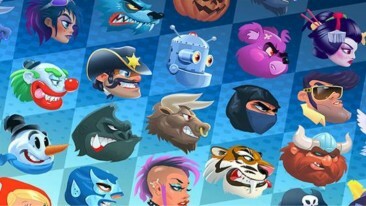 “We’ve been granted an exclusive global right to use the characters in the area of language learning. The co-operation started after we pitched our business plan to them. Of course, it helped that we started out as a family business, have a 30-year history and are pioneers in the field in Finland,” recounts Guttorm. The Moomins, she adds, are excellent partners especially because they are widely associated with a high quality and represent the same values as the Finnish early-childhood education system. “The Moomins have a supporting role in the service: the characters promote learning and join children on their journeys. The Moomins’ values include courageousness, equality and appreciation of nature. These are the kinds of values that are needed today around the globe,” Guttorm says. Although Moomin Language School certainly has the potential, Guttorm is under no illusion that the market will be easy to crack.